We have a very simple yet remarkably effective design process that ensures we can meet your expectations when it comes to the design of your blazer. A simple three stage process allows us to identify your needs along with the values of your club or society, and interpret those into a blazer that is unique to you in every respect. This is the first and possibly most important step in the process. It enables us to establish a clear direction for the look and feel of the blazers, from which we can then specify everything from colours and fabrics to finishes and embellishments. This pack comprises of everything that will make up your blazer, from fabric swatches and buttons to the lining material and braid trim. The pack also contains sketches of your blazer so you will get a true sense of what the final garment will both look and feel like. 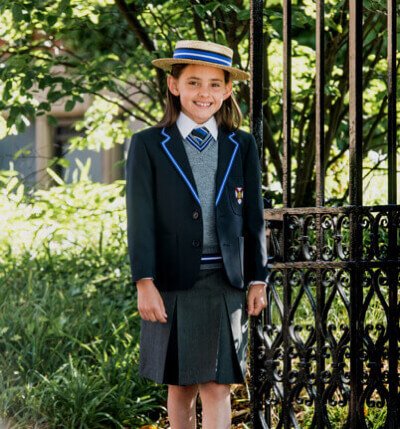 As part of our service we will provide your club with a full set of ‘generic’ blazers that can be tried on to ensure the end product is a perfect fit for each member. This wardrobe is then collected from your club and returned to our head office. 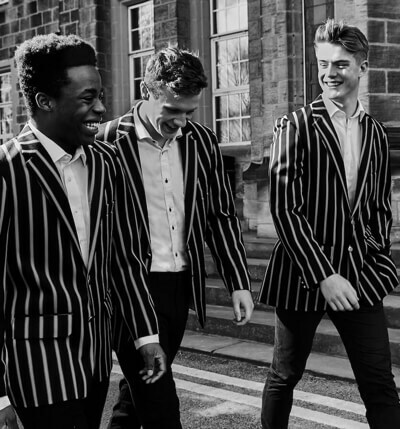 We also have regional showrooms where your members can book a fitting, as well as offering a personal fitting where one of our trained colleagues will visit your club to measure everyone for their blazers. There is also the option to supply your club members measurements over the phone or via email. Should you need any guidance regarding the correct way to accurately measure for a blazer you can visit our dedicated fitting page here.